The winter season brings a lot of excitement for many people. From holiday celebration and winter sports to a new year full of promise, there’s a lot to love about winter. However, for many people, the darker winter days usher in a condition called Seasonal Affective Disorder, or SAD. Senior adults are especially vulnerable to this form of depression that is linked to seasonal change. Unfortunately, the condition is seriously underdiagnosed in the elderly. Responsible family caregivers need to learn as much as they can about SAD so they can provide the help that their elderly loved one needs to stay positive and enjoy winter once again. Cycling with seasonal change, SAD is a type of depression that is linked to shorter daylight hours. The symptoms for SAD can be hard to spot, and include fatigue, bigger appetite and weight gain, lack of focus, low energy and overall depression or sad feelings. Some seniors may demonstrate greater mood swings, increased irritability and even outbursts of anger. Still other symptoms include lack of interest in activities, anxiety, feelings of hopelessness or guilt and thoughts of suicide. Because many of these symptoms are also associated with other age-related conditions, it’s easy for family caregivers to disregard them as warning signs for SAD. Anyone else in the elderly person’s support group, such as friends and senior care providers, should also be on the lookout for symptoms of SAD. Seasonal depression, while temporary, is still a serious mental health condition that needs treatment. Scientists have linked the shorter daylight hours and low vitamin D as a primary cause of SAD. Also, scientists found lower serotonin levels, a hormone that regulates mood, in people with SAD. This imbalance in the brain triggers the depression and leads to the seasonal disorder. As a result, seniors often turn to unhealthy food, struggle to get restful sleep and usually get less exercise and activity in the winter, which all contribute to the condition. The treatment for SAD in seniors is quite effective, and family caregivers and senior care providers can implement activities based on the recommendation of a doctor. The first and easiest treatment is to spend more time outdoors in the sunlight. On sunny winter days, family caregivers and senior care providers should find was to expose the aging adult to the sun. Ideas include car rides, sitting in front of a west-facing window, and taking short walks. Also, phototherapy uses special lights that mimic the sun and have been quite effective for treating SAD. Other treatments include vitamin D supplements, talk therapy, exercise and maintaining a healthy diet. For seniors, winter doesn’t need to be a time to feel sad and depressed. Family caregivers and senor care providers can take an active role in identifying when SAD is affecting the aging adult. With a strong support group and doctor-guided treatment, the elderly adult can regain joy in winter once again. If you or an aging loved one are considering Senior Care Services in Havertown PA, please contact the caring staff at True Direct Home Health Care today. True Direct HHC owner and administrator, Perry C. Doc Alleva has been in the health care community for over 10 years as a therapy solutions provider, as well as a home care services coordinator. He has extensive experience in caring for the disabled and the surgical acute, sub-acute, and rehab population. Rooted in his home-town city of Philadelphia, with strong ties to it's vast neighborhoods and communities, he's now focusing all his energies towards innovating the home health care agency's role in providing the essential care needed from individual to the family throughout the community. Doc, as he is called by everyone - staff, patients and clients - first experienced home health care and hospice care while as a colleg student at King's College as he cared for his mother every day while she first battled COPD and then lung cancer. It was during this time that he came to understand that caring for a patient was more than just clinical expertise. "Admittedly, my strongest attribute is my communication skills and the simple fact that I love to help people. Even the smallest thing you can do for someone really can mean so much to them long term. In fact, it could change them forever. That's what providing quality personal home health care should be all about." In his spare time, he cooks for homeless shelters and children's music and arts events. He also is highly involved in his local youth sports soccer academy as a coach and Board member. 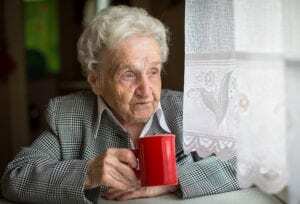 Can You Be a Caregiver and Not Irritate Your Senior? How Can Argumentative Siblings Work Together to Create the Perfect Home Care Plan?